Rain was forecast for the following day so we decided to come down from the mountains and head west towards the coast where the weather would be better. 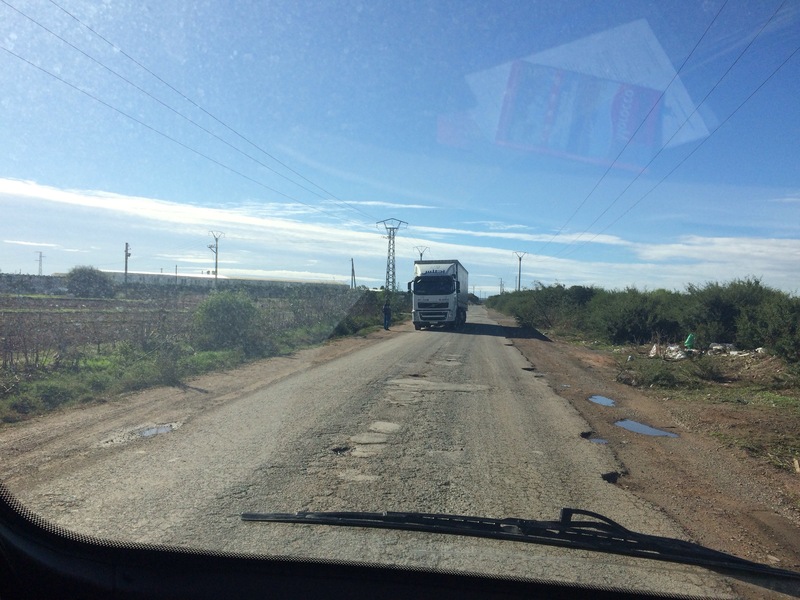 Driving in rural Morocco, once you accustomed yourself to the bizarre road conditions, was an enjoyable experience. People by the road side would often wave as you drove by, especially the young children who would run along beside you calling out greetings and waving cheerfully. Police road blocks were common, usually near major road junctions and approaches to towns. The police were armed and had ugly looking stingers by the side of the road ready to deploy. We saw many motorists being stopped but we had no idea what the police were checking. We, I assumed because we were tourists, were always waved on through with a smile and often a salute. We made good progress once we reached the three lane toll motorway although heavy rain made driving conditions challenging. The poor standard of driving was alarming. 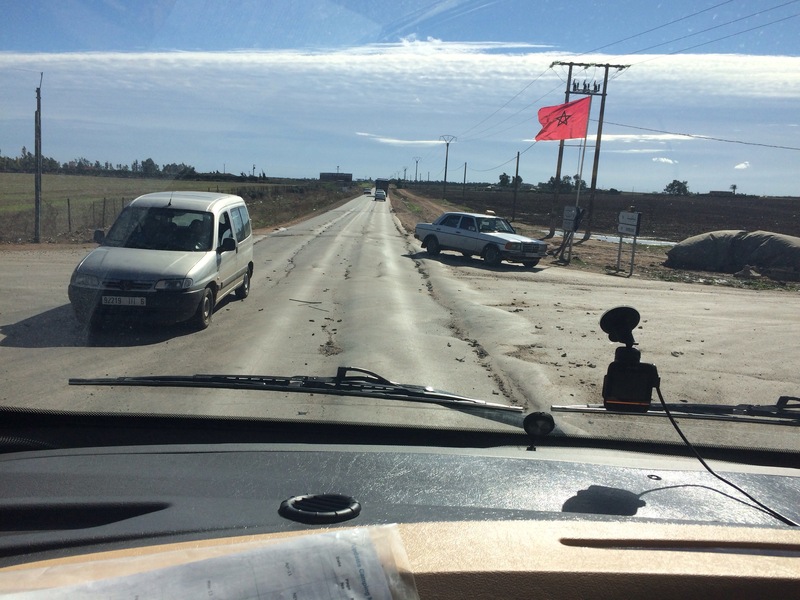 Cars straddled lanes and regularly changed lanes without indicating. Undertaking was common practice but sometimes it was the only way you could get past a slow moving vehicle hogging the centre lane. We saw groups of pedestrians, often laden with heavy bags, crossing the motorway and there were sellers of wares lined up on the slip roads. 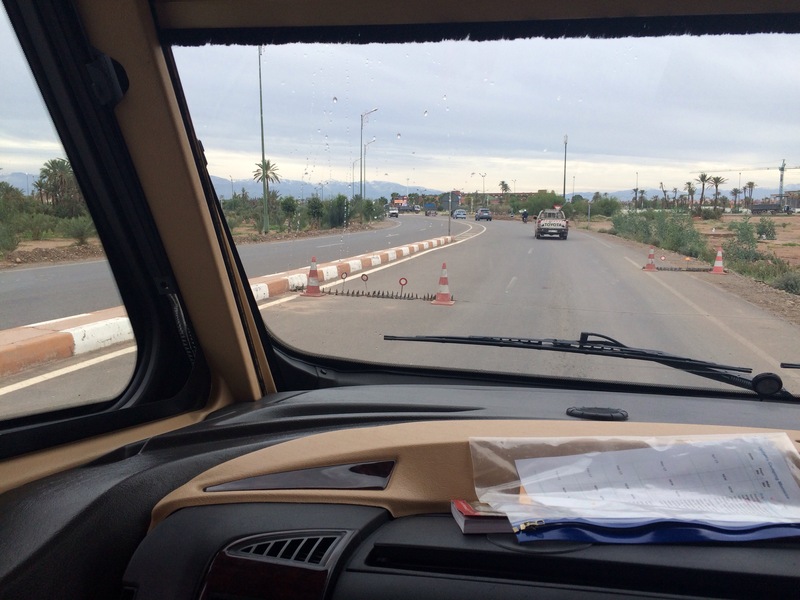 The dual carriageways were just as hazardous and once, in the pouring rain with poor visibility, we encountered a donkey and cart coming towards against the flow of fast moving traffic. At a busy three lane junction approaching a roundabout we saw a family with young children weaving amongst the moving cars selling their wares.